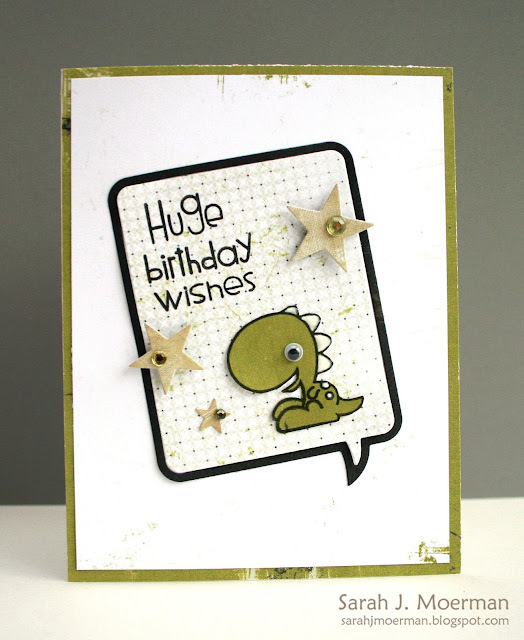 Simon Says Stamp Summer Release Blog Hop!! ...and a GIVEAWAY! 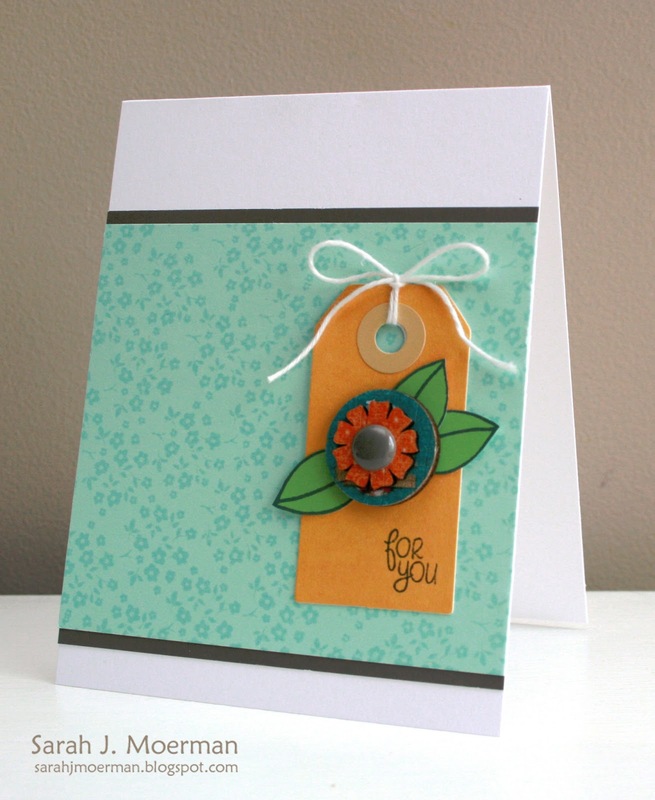 Welcome to the Simon Says Stamp Summer Release Blog Hop! (You should be arriving from the super sweet Lorraine (Lols) Aquilina's blog). I am so excited to be participating! Simon and his crew of talent have hit it out of the ball park with this release! 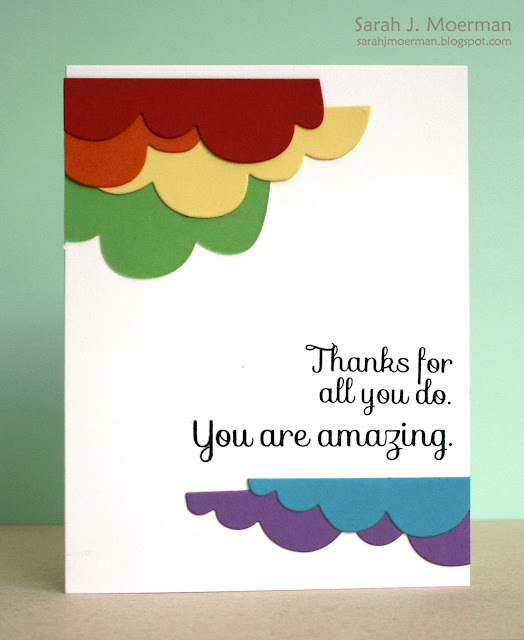 For this next card I used the new Simon Says Stamp Flat Bottom Clouds die to cut out a rainbow of colors. 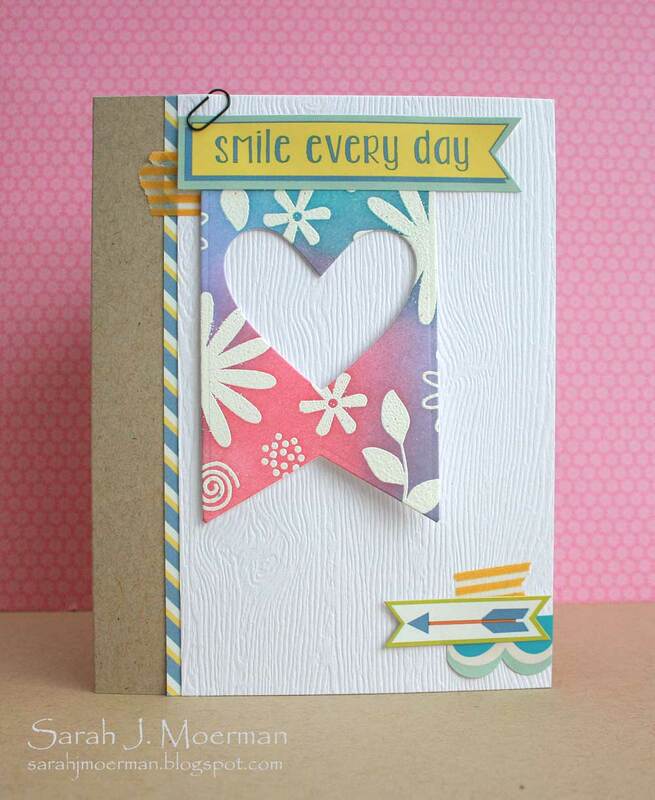 I thought they looked like fun funky scallops when placed upside down... and the sentiment is a combination of two from the new Inside and Out Sayings stamp set. I used the Two Tier Folded Banner die, but shortened it to make a one tier banner. 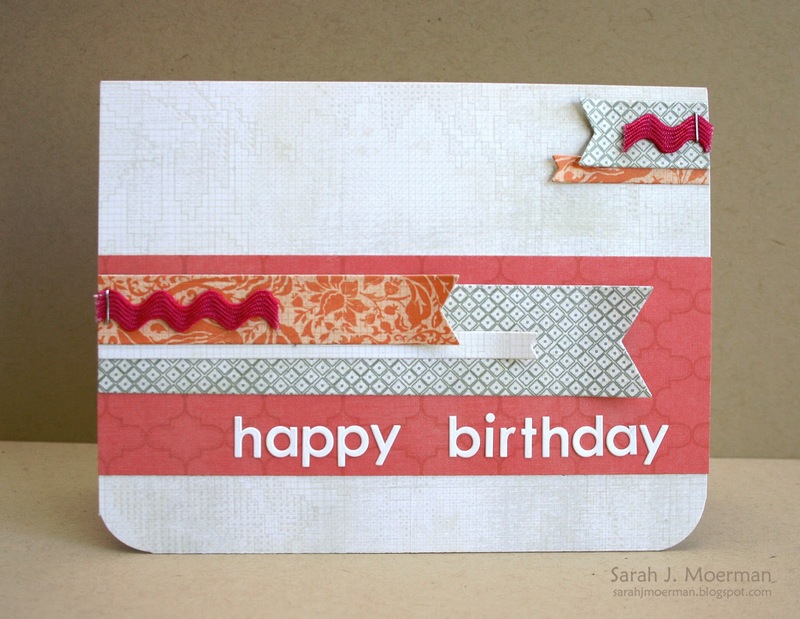 We all know a Simon Says Stamp Blog Hop just isn't a blog hop without a giveaway! 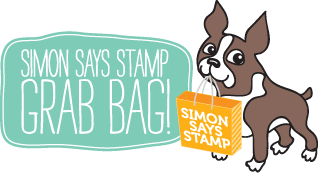 Simon Says Stamp will be giving away a grab bag filled with stamps, papers, and embellishments to one randomly selected commenter on every blog in the hop! You have until Thursday, June 6th at 9:00 pm to enter. 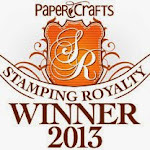 Winners will be announced on the Simon Says Stamp blog Friday, June 7th. Thanks for stopping by! Your next stop is the talented Jo Nevill's blog. If you come across any broken links along the hop you can find the full list of participants at the Simon Says Stamp blog. Happy hopping! This week's challenge is fan favourite Anything Goes! The design team is showcasing Bottle Cap Inc and/or Authentique. Here are a couple of cards I've made recently using some versatile dies from My Favorite Things. The Fishtail Flag Stax has been a favourite set of mine and gets lots of great use. 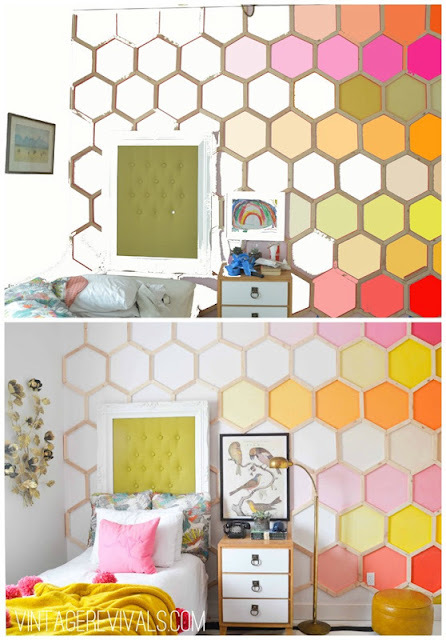 If you're into coloring they have great images for that too! 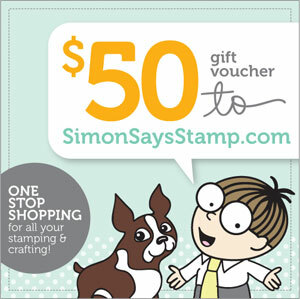 I'm happy to say that most of these great products can also be found at Simon Says Stamp! Yay! This week's challenge is: Take a Pic! :) Anything about cameras or photographs will fit the bill. Before I go I wanted to announce the winner of the Simon Says Stamp June Card Kit: Something Awesome. Fun card - I like that! 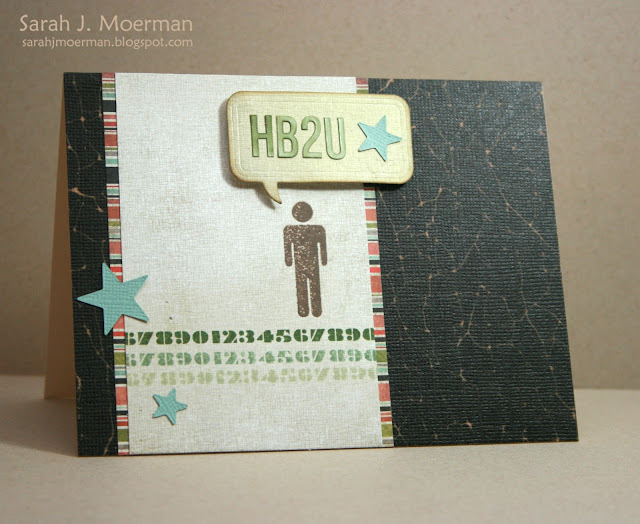 For today's card I used another great element from the Basic Grey Hipster Snippets 4x6 pad. I loved this fun guy in glasses peeking up over the edge of the paper. I added a strip of red patterned paper to the left side, rounded the edges, and stamped my sentiment in the thought bubble. I topped it off with one of the wonderful Thank You Wooden Flags from Jillibean Soup. Before adding this panel to my card base I added a strip of the fun Freckled Fawn Tiny Mustache washi tape. 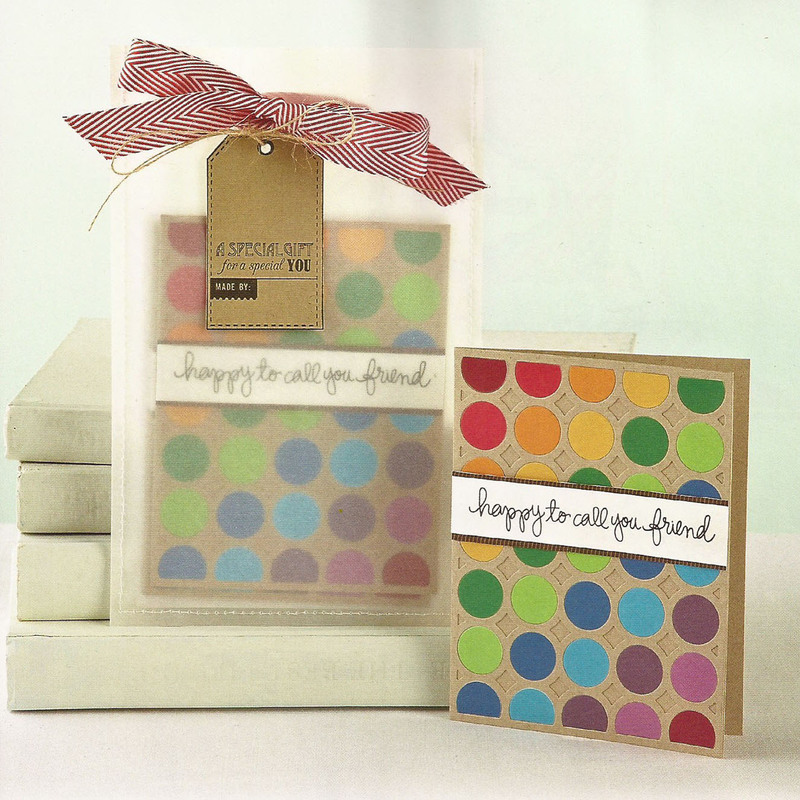 Just a reminder that sweet Heidi, owner of Simon Says Stamp, has given me an extra June Card Kit to give away! Just leave a comment on any of my card kit posts (this is my fourth and final before the giveaway ends) by Tuesday, May 21st at midnight EST and I'll post the winner on Wednesday, May 22nd! Me again. 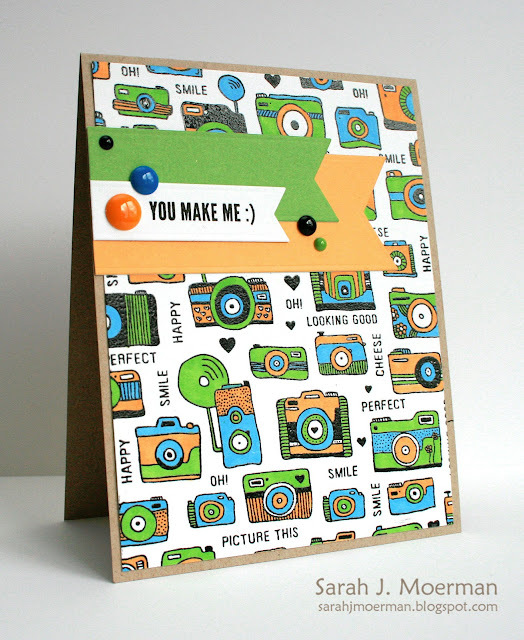 ;) I'm back with another card using the Simon Says Stamp June Card Kit: Something Awesome. As soon as I saw the mustache and tie stamps it made me think of my Dad. A number of years ago I could of stamped that mustache in black...but...well...things have changed. ;) I thought it would be fun to make a clean and simple card that my kids could give to my Dad, their Opa, for Father's Day. 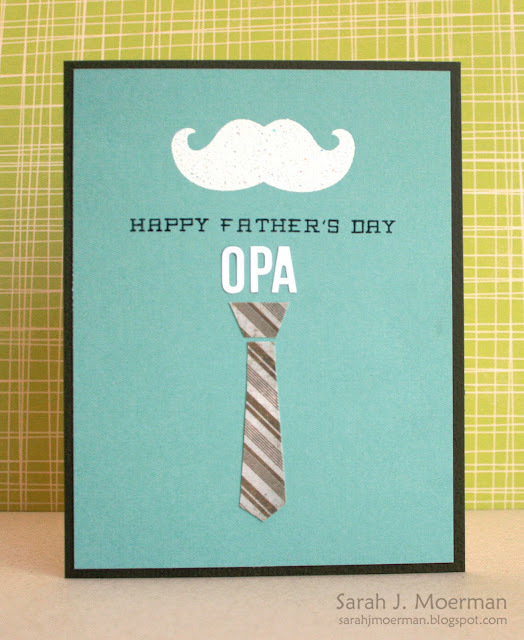 I heat embossed the mustache and sentiment directly on the card front and used some of the alpha stickers to spell 'Opa.' 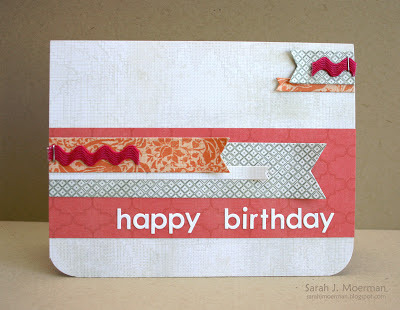 I then clear heat embossed the tie on patterned paper, cut it out and adhered it to the card. I plan to use some of the fun mustache washi tape on the envelop once it's ready to go. 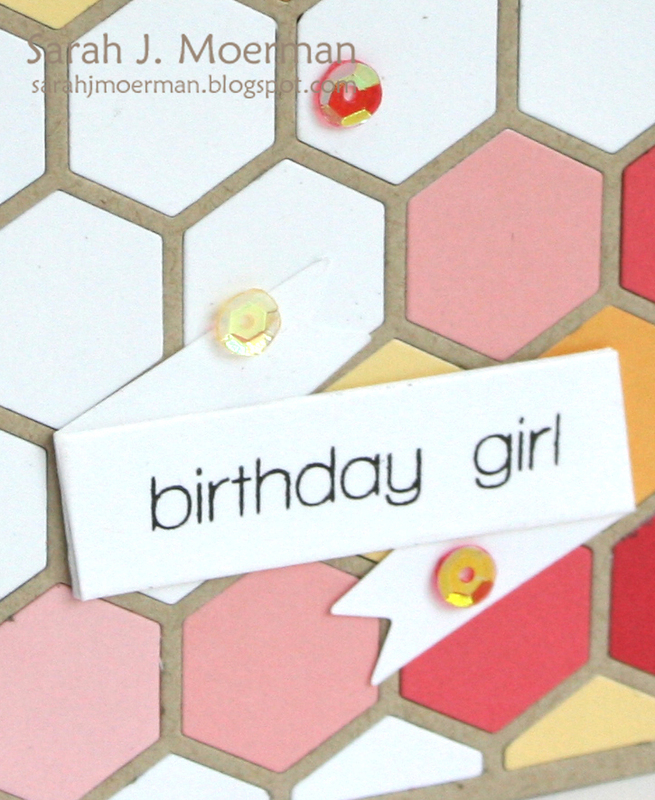 Just a reminder that sweet Heidi, owner of Simon Says Stamp, has given me an extra card kit to give away! Just leave a comment on any of my card kit posts (this is my third) by Tuesday, May 21st and I'll post the winner on Wednesday, May 22nd! 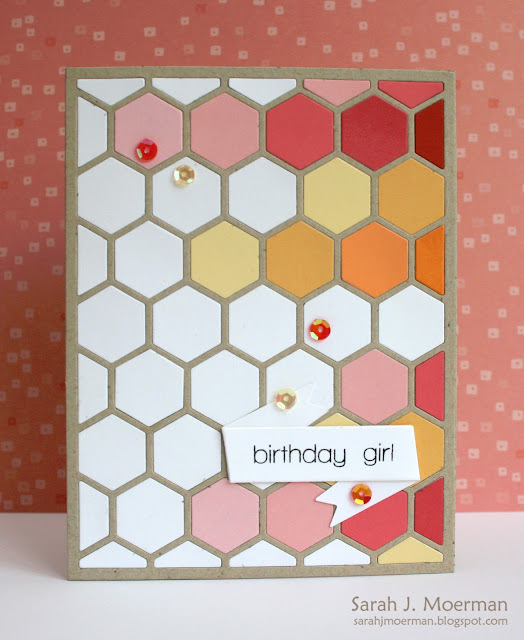 HB2U (SSS June Card Kit) and Some Fun New Goodies! 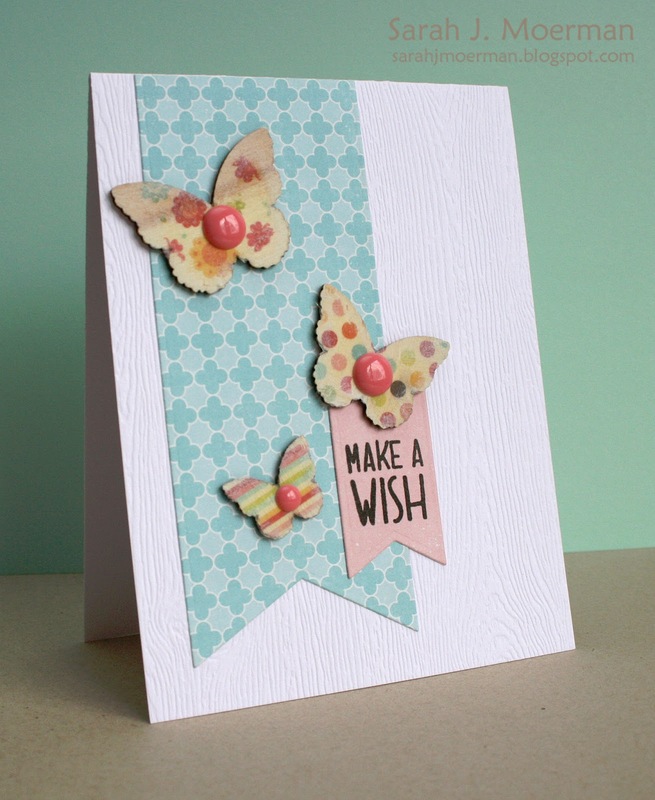 I'm back with another card using the Simon Says Stamp June Card Kit: Something Awesome. I'm having so much fun with this one! I know I say that every month but these kits just keep getting better and better! Again, sweet Heidi, owner of Simon Says Stamp, has given me an extra card kit to give away! Yay! Just leave a comment on any of my card kit posts (this is my second) by Tuesday, May 21st and I'll post the winner on Wednesday, May 22nd! 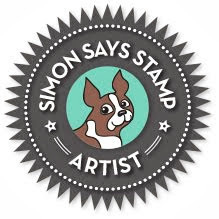 Before I go I wanted to show you Simon Says Stamp's brand new Summer 2013 Release! It ROCKS! I've already placed my order for most of these goodies and can't wait to play with them! 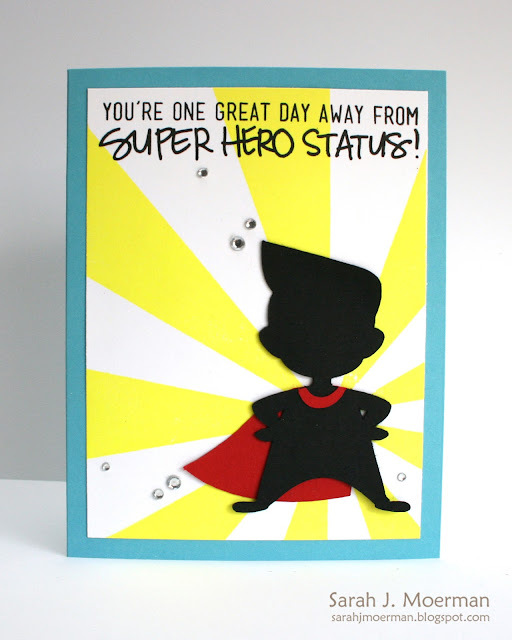 As well, Kelly Purkey (who designed the stamp set for the June Card Kit) also recently came out with a number of fabulous new Kelly Purkey Exclusives for Simon Says Stamp. 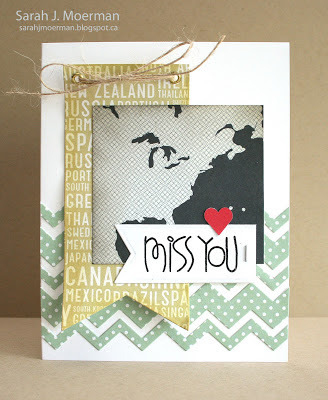 Memories (Simon Says Stamp June Card Kit) & GIVEAWAY! That's right! The Simon Says Stamp June Card Kit (called Something Awesome) is now up for sale in the Simon Says Stamp store! Although geared towards Father's Day (with one little Father's Day stamp) this kit is great for various occasions throughout the year. The new Kelly Purkey "Dude" Stamp Set is great for those hard to make masculine cards and I love that the 6x6 papers and snippets pad from the Basic Grey Hipster collection, as well as the Jillibean Soup Wood Sentiment Flags, lend themselves so well to both masculine and feminine cards. For this card I cut a piece of the Basic Grey 6x6 patterned paper to size, inked the edges, and adhered it to my notecard. I then cut apart a number of the Basic Grey Snippet pages and pieced them together before adhering my panel to the card, I tops things off with one of the fabulous Jillibean Wood Sentiment Flags. Now for the giveaway part! 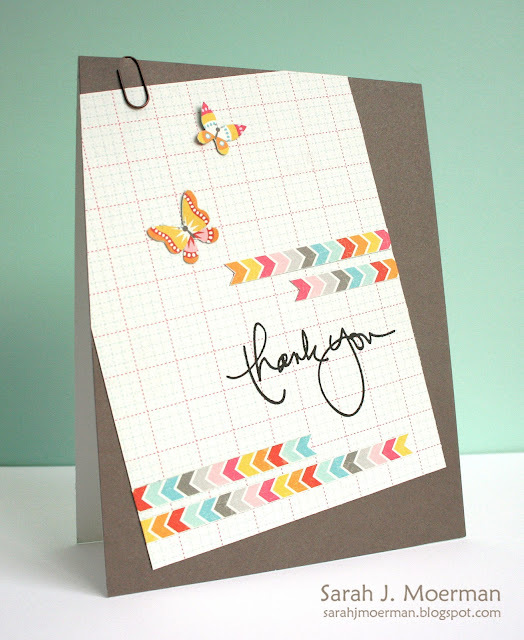 As always, sweet Heidi, owner of Simon Says Stamp, has given me an extra card kit to give away! Yay! Just leave a comment on any of my card kit posts in this next week by Tuesday, May 21st and I'll post the winner on Wednesday, May 22nd! 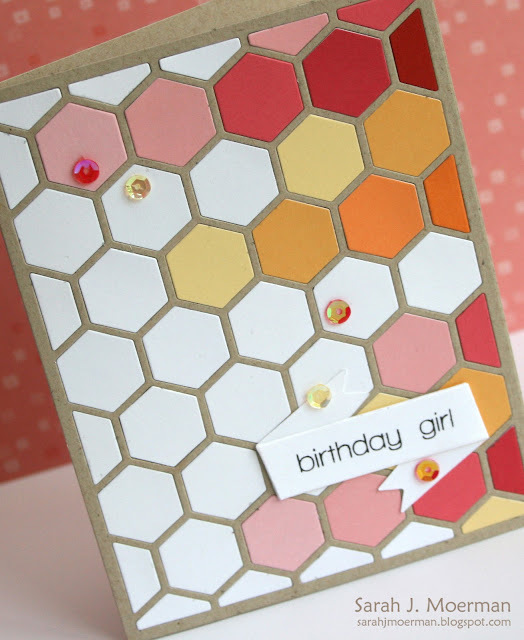 I'm dropping in again to share a card set I have published in Paper Crafts 350 Cards & Gifts Vol. 2. I had fun making this set of cards and vellum gift bag. This is great way to use up scraps! Simon Says Stamp Things With Wings Challenge! This week's challenge is: Things With Wings. :) Birds, butterflies, bees...hey, you could even use airplanes! 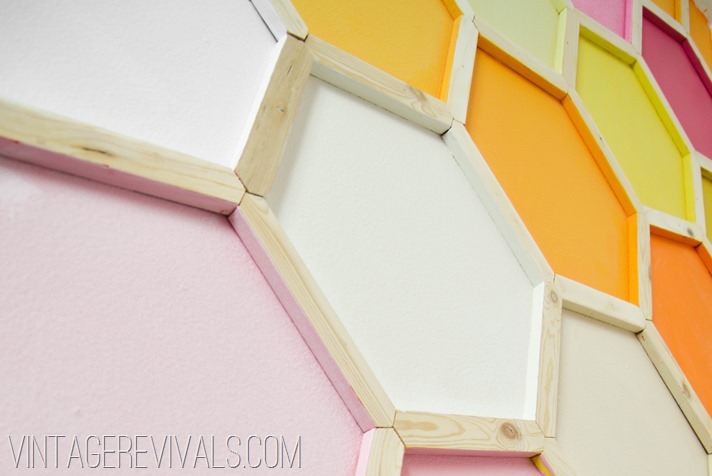 The design team is featuring product from Studio Calico. I used the patterned paper image transfer technique on my butterflies that Lisa Spangler showed a month or so ago on HER BLOG. Fun, eh?! Simon Says Stamp Happy Mail Challenge! This week's challenge is HAPPY MAIL! We all love receiving it, don`t we? This week we'd like you to make some happy mail for someone and then share it with us. :) The design team is using products from Technique Tuesday. Technique Tuesday makes AMAZING stamps. Ali Edwards? Check. Teri Anderson? Check... Need I say more?